Hotels in Sofia - Budapest Hotel in Sofia. 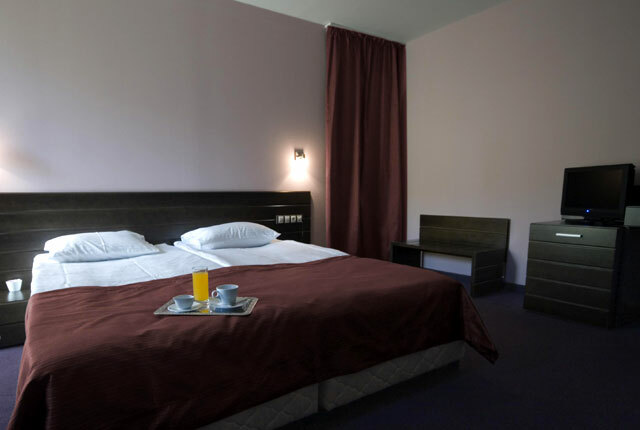 Sofia Hotels - Budapest hotel. Book Budapest Hotel in Sofia. 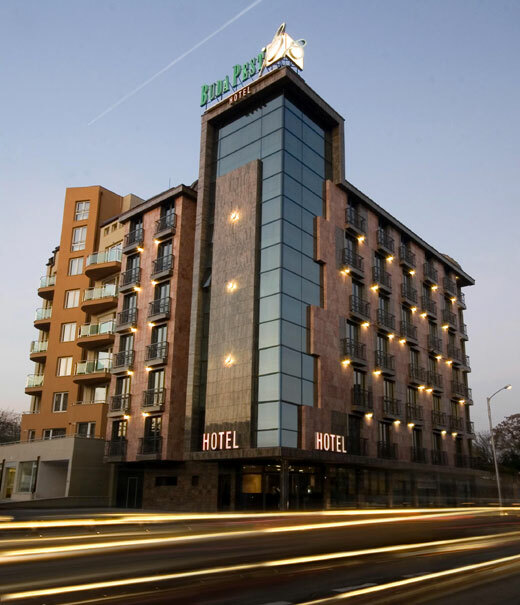 Location: The newly built business – orientated Budapest Hotel is located аt 2 minutes walking distance from the central train station, in the very centre of Sofia. 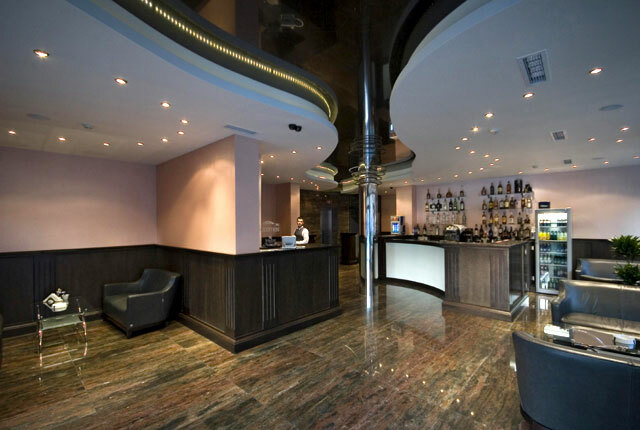 The hotel is just a few minutes away from the wonderful shops and business life of the city. Sofia Airport is 15 km from the hotel. 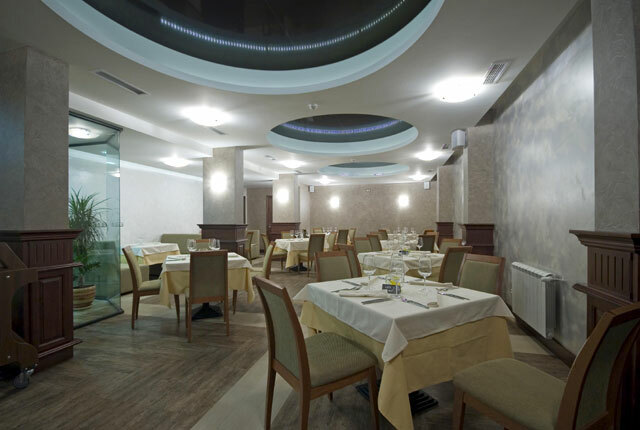 Dining: In the Budapest Restaurant buffet and à la carte meals are served, offering modern Bulgarian and international cuisine. In the lobby bar you can taste a wide range of refreshments, cocktails, snacks and desserts – a great place to relax, enjoying your favourite drink. 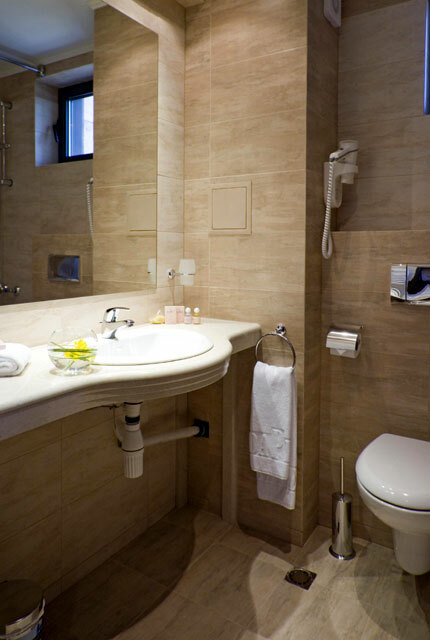 Hotel Facilities: Restaurant, bar, 24-hour Front Desk, terrace, non-smoking rooms, elevator, safety deposit box, soundproofed rooms, heating, air-conditioning, etc. Accommodation: Budapest hotel offers 63 rooms, distributed on 7 floors offering all modern conveniences, lobby bar and restaurant. 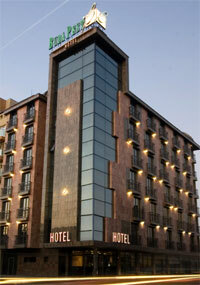 Hotel Budapest is the perfect choice for people who visit Sofia for business of leisure. The comfortable rooms are equipped with high-speed Internet and offer various state-of-the-art facilities with modern furniture. Two of the floorsare entirely for nonsmokers. All rooms offer individual control of the air conditioning system, hair dryer, bath tub, shower cabin, smoke detectors, working desk, wake up calls and etc. 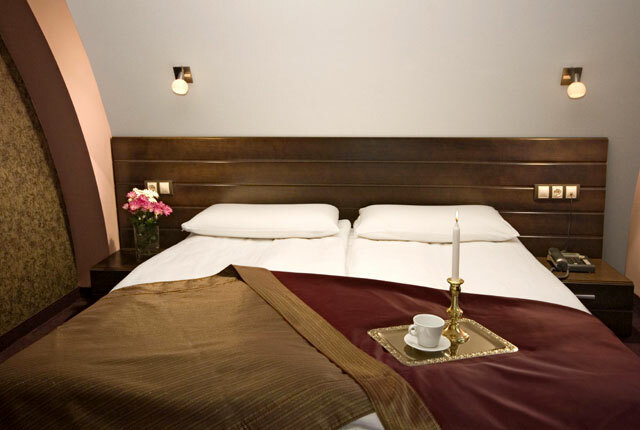 * Please note that all guests of Budapest Hotel made reservation through this web site use for free Internet access.